Wedding Planning includes a lot of different things including a wedding planning business plan, SEO, branding, website redesign, proposal creation... the list is at least a mile long. One of the things that I have had to become an expert in is wedding planner SEO. I'm so deep into it, I can tell you things I never thought I had to know. Can I hire somebody to do this for me? Yes. Do I want to? No. 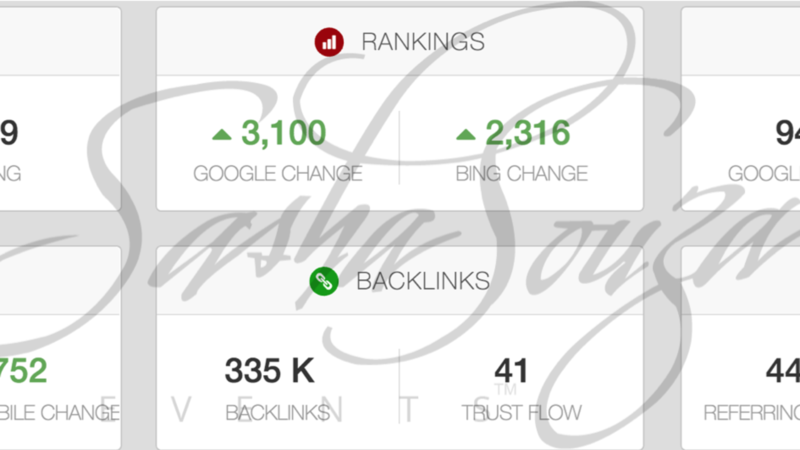 And I'll tell you why...I did have an SEO company help get me started but when I wasn't seeing any sort of return on my investment of multiple hundreds of dollars per month. But they didn't "get" the nuances of my business. ie: Most of my weddings are destination weddings, I offer many different types of services and we have several different areas where I'm working, our Google local distance is about 200 miles from Napa Valley in all directions.